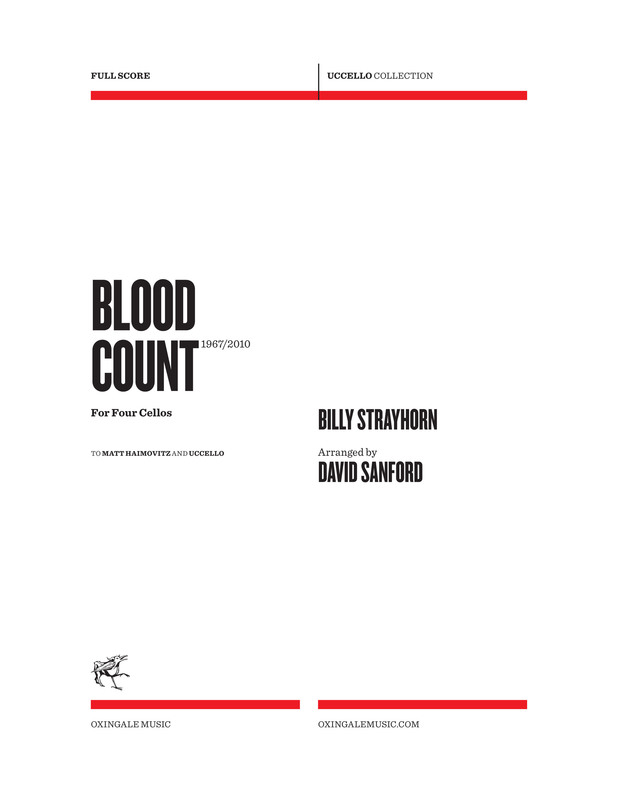 Blood Count (1967) was Billy Strayhorn’s final composition for the Duke Ellington Orchestra, written from Strayhorn’s hospital bed. It is intro­duced here by a quote from Gordon Getty’s 1986 setting of Emily Dickinson’s similarly funereal “There came a wind like a bugle” from his cycle White Election. The inflections of alto soloist Johnny Hodges in his profound later period are re-created as closely as possible in the solo cello part and consequently the arrangement is as much an homage to Hodges as it is to Strayhorn. 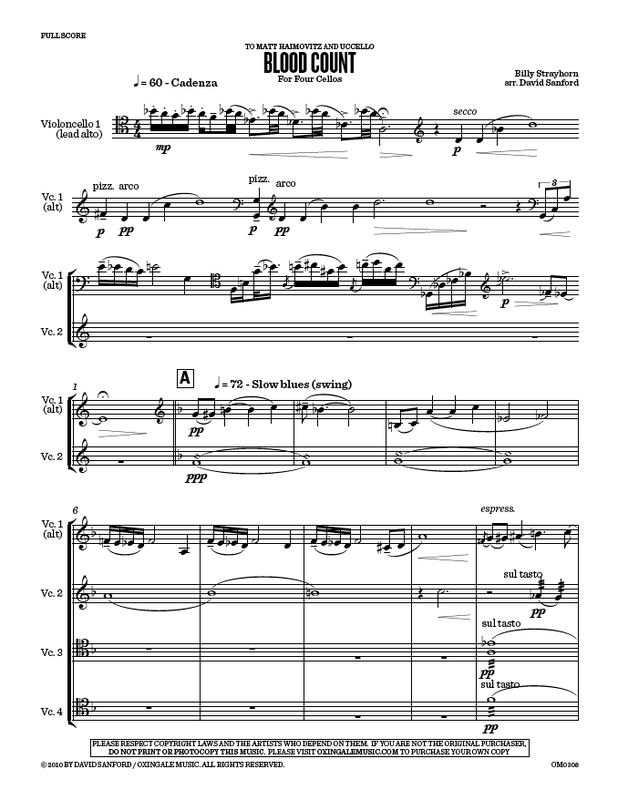 This entry was posted in Cello Music, David Sanford, Matt Haimovitz, Recorded on Oxingale, UCCELLO COLLECTION and tagged 4 cellos, cello big band, jazz, Johnny Hodges, Meeting of the Spirits, multi-cello, Sanford audio clips, Strayhorn. Bookmark the permalink.